Another year has passed, and this gives us a perfect opportunity to reflect on what content in this site resonated most with our visitors in 2017. We’ve checked out the site stats and here are the most visited pages, blogs and downloads (cue drumroll). Throughout the following content (as well as the entire site) you’ll find ideas and examples about providing imaginative, therapeutic inpatient mental health care. We hope the site continues to be helpful, inspiring and encouraging in 2018 and beyond. Evidence Base. Our work has an eclectic range of influences, most of which also form the evidence base. There are all the predictable (and therefore important!) ones – the reports and research anguishing over the state of mental health inpatient care. These are included in the Star Wards’ publication. This page provides the other publications, and people, that inform, influence and enliven our work. The 75 Ideas. This page lists our 75 practical ideas to validate existing good practice and to inspire further development. The ideas – which provide structure, motivation etc for incremental changes – range from little to large enhancements. 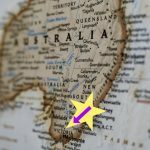 Our member wards on their Star Wards journeys, are tenaciously working towards getting the Full Monty award, for having versions of all the relevant 75 ideas in place. Apply for the Full Monty Award. It’s an enormous achievement for a ward to gain the Full Monty Award, and always reflects inspired, therapeutic practices way beyond the 75. As well as this providing some ‘official verification’, wards have found that the Full Monty process provides a boost to staff morale. Completing the application form on this page lets us know about the many fabulous innovations which we can then share with the rest of the Star Wards’ community… oh, and a way to kick off a conversation about us visiting you and presenting the trophy to you! Nickable practices. We’ve compiled a list of our ‘nickable’ practices on this page. Of course, we’ve nicked these from people and organisations who have done wonderful work to improve people’s lives. Here you’ll find info including: Star Wards’ structure, its relationship between us and our members, how we focus on ‘soft’ (but actually very hard) issues, and what members say about the benefits of taking part in Star Wards. We’re so pleased these pages are getting the most traffic. Members regularly tell us that the main reasons why Star Wards is so popular and effective are firstly because it’s practical and easy to implement and secondly because it isn’t mandatory. It’s about ideas and best practice, not compulsory standards. 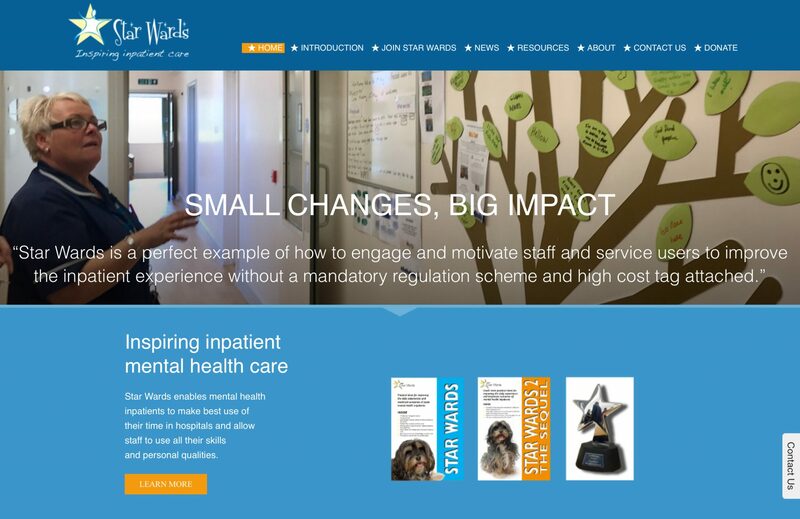 Star Wards helps unleash an incredible surge of creativity, goodwill and energy by inpatient staff and also provides a bit of a framework for the acknowledgment of existing great practice. Since its launch 12 years ago, this has translated into thousands of inpatients having many more therapeutic but in particular, social and recreational opportunities. Very often staff are happier, more fulfilled and energised and patients are less frustrated, more involved in their treatment and recovery, and enjoying better relationships with staff and each other. Providing meaningful activity on a busy ward. 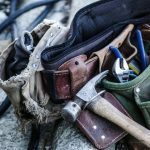 This blog has been hugely popular since being published. In this blog Sam Wilson, our fab newsletter editor, provides a few ideas you could use in the therapeutic sessions facilitate, an insight into how you might tackle some typical challenges and gives you a brief account of some of his own success stories. Mowbray Ward’s Full Monty. 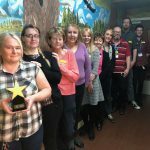 One of the reasons the team at Mowbray Ward (Northumberland, Tyne and Wear NHS Foundation Trust) ran a Star Wards project was because they wanted to look more closely at the patient hospital experience and journey to get a feel of what was good and what needed further enhancement. This blog post reports on their benchmarking process and their many achievements and includes some amazing images. Blue Nile’s Full Monty. Here’s another Monty blog which found itself on the most-visited in 2017 listed. Star Wards’ director Geoff Brennan writes about his visit to Blue Nile House, based in Chase Farm Hospital in North London. Recovery Based Activity Teams. 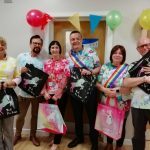 We are always on the lookout for people who share our passion and go about tweaking what they offer to patients – so, when we heard that there were interesting things going on at Greater Manchester Mental Health NHS Foundation Trust, we asked them to fill us in on their wonderful Recovery-Based Activity team. 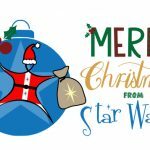 Download Star Wards. This one is a quadruple-whammy! 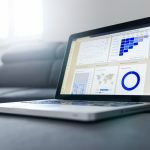 This page provides the following essential resources: the Star Wards 1 and 2 booklets, the 75 Ideas Chart and Checklist, and the 75 Ideas Benchmarking Sheet. The booklets offer hundreds of tried-and-tested ideas for making the most of inpatients’ time. We’re always delighted when members experience morale-boosting ‘quick wins’ in ward changes which they introduce. What serves as a huge boost is sharing best practice examples, and challenges with others. Most member wards have set up steering groups, are carrying out benchmarking exercises and some even have action plans for the implementation of all 75 ideas! TalkWell. This booklet (also produced by the charity Bright) provides practical ideas for starting, sustaining and ending conversations, and information about managing particularly difficult conversations, eg with patients who are experiencing psychosis. It’ll help staff become better listeners and enjoy and feel able to manage all sorts of conversations. Want to have a greater awareness of what’s happening in patients’ minds and your own? Want to have richer relationships with patients? Download TalkWell today! Ward Buddy. Another Bright idea…. Ward Buddy is here to accompany inpatients through various experiences of ward life; from arriving on the ward to the rediscovery of hope, amongst other themes. The booklet is filled with experiences of recovery and mini snippets of ward life that have been kindly offered and beautifully illustrated by people who have had stays on mental health wards. Animal Magic. Our newest website Animal-magic.org.uk will help you get past the obstacles to having pets on your ward and give you the compelling evidence base for the benefits of pets for people with mental illness. As you’ll find out, the evidence base is huge and compelling and the apparent obstacles preventing mental health inpatients from having contact with animals can be addressed with the creativity and compassion which characterise ward staff’s wonderfulness.